Posted November 5, 2018 by Seán Kinane & filed under Elections, News and Public Affairs. Ross Spano (R). By Seán Kinane/WMNF News (15 June 2018). 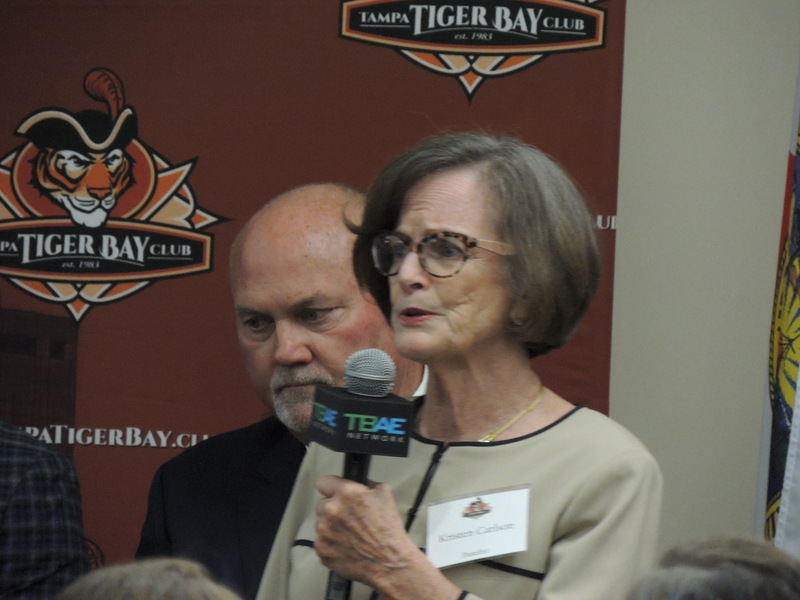 The district covers northern parts of Hillsborough and Polk Counties and includes towns like Lakeland, Brandon, Bartow, Plant City and areas near Tampa. The seat is vacant because Republican Congress member Dennis Ross announced his retirement in April. On the show we talked about issues like health care, immigration and gun safety laws; Calson separated herself from Republicans on all of these issues. 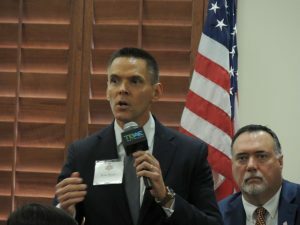 State Rep. Ross Spano appeared briefly at a candidate forum in Tampa in June before he left because his daughter-in-law went into labor. So we heard Ross Spano’s opening statement. At that forum, the candidates split along party lines on contentious issues like support for President Trump and public funding of charter schools. Kristen Carlson said she would vote against keeping Nancy Pelosi as her party’s leader in the House if she is elected (“I’m in favor of a change in our leadership of the Democratic Party”). At the time she had not been certified a “Gun Sense Candidate” by the groups Everytown for Gun Safety Action Fund and Moms Demand Action for Gun Sense in America. But she has since become certified. Also on the show we looked at the race for Attorney General between Democrat Sean Shaw and Republican Ashley Moody. Jeffrey Siskind is running without party affiliation in that race.